Where do you want to be braver in your life? What holds you back? 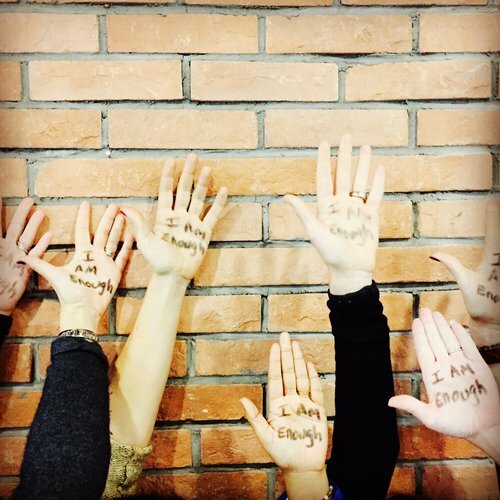 We all struggle with thoughts of "not enough" in some area of our life, it is part of what makes us human. However, it is precisely those thoughts that hold us back from being brave in our lives, taking risks, trying something new or having difficult conversations. How can we show up in life as the person, parent or leader we truly want to be if we are living from a place of "not enough" and wondering "what will people think?" 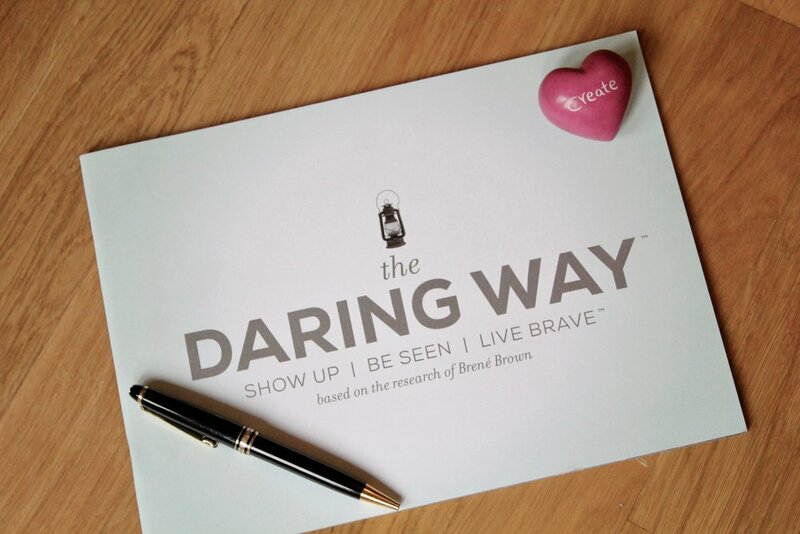 The Daring Way™ is a highly experiential methodology based on the research of Dr. Brené Brown designed to help individuals, couples, teams or leaders embrace vulnerability and develop daily practices that transform the way we live, love, parent and lead. During this program we explore topics such as vulnerability, courage, trust, shame and worthiness. Participants are invited to examine the thoughts, emotions, and behaviors that are holding them back and identify the new choices and practices that will move them toward more authentic and wholehearted living. This is done through the development of resilience skills and daily practices around empathy and self-compassion. Ready to conquer the "Not enough" mindset? Join us now. Be brave. This program will be lead by Terri Creeden, an experienced coach and Certified Daring Way™ Facilitator. The Daring Way™ method is based on the research of Brené Brown, Ph.D. LMSW. Dr. Brené Brown is a research professor at the University of Houston. She has spent the past fifteen years studying courage, vulnerability, shame, and empathy and is the author of three #1 New York Times Bestsellers: The Gifts of Imperfection, Daring Greatly, and Rising Strong. Her TED talk - The Power of Vulnerability - is one of the top five most viewed TED talks in the world. Further information is available at www.brenebrown.com. A better way to live and love. 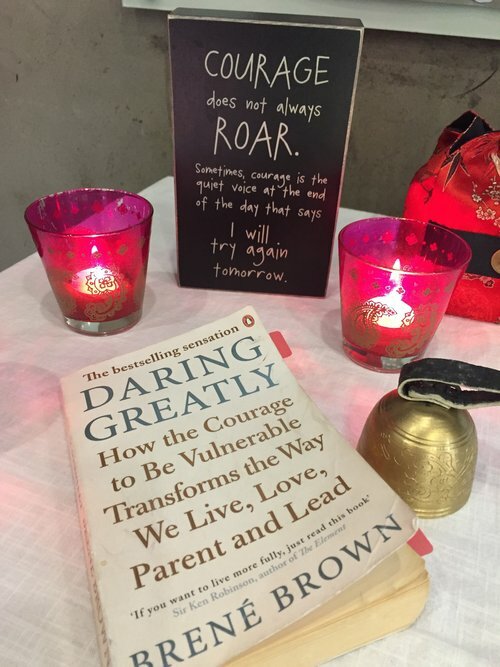 "Terri's workshop helped me to align my life with what I had read in the Daring Greatlybook by Brené Brown. I loved the part about aligning my life with my values. I learned to live more fully by focusing on the daring things that would stretch me in a meaningful way. It has made me a better friend, a better team player, a more engaged mother and a more connected wife." My life was radically changed. "I now have an incredible depth of personal insight into who I am, how I’m motivated and how I’m tripped up in life. 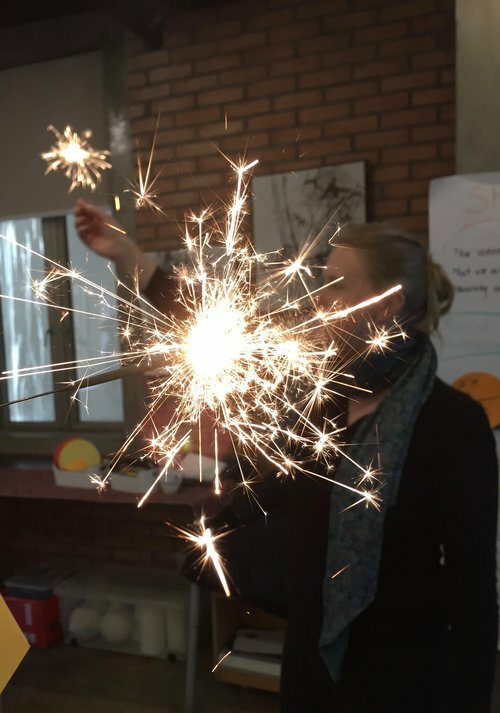 The Daring Way™ and Rising Strong™ programs are great in and of themselves; however, it was really Terri’s expert facilitation that made these workshops so impactful." A massage of the soul! "I came out of the workshops having much more self-compassion and acceptance of human emotions. I am now able to observe another's needs and make conscious choices of when to extend grace to others or to attend to my own needs by setting boundaries. I could not have done this without this work." We respect you and your privacy. We will not share your information with others.